George & Partners is a business venture between three world renowned experts in photochemistry. Regularly invited to speak at conferences around the world, they have published over 800 scientific papers between them. Jim Barber was educated at the Universities of Wales and East Anglia and has an honourary doctorate from Stockholm University. As well as being a foreign member of the Swedish Royal Academy, he is also a member of the European Academy. He is the Ernst Chain Professor of Biochemistry at Imperial College London and has served as Dean of the Royal College of Science. He has published over 400 research papers and in 2002 he was pleased to be awarded the prestigious Flintoff Medal of the Royal Society of Chemistry. In 2005, he won the ITALGAS Prize for Energy and the Environment and the 2005 Novartis Medal and Prize of The Biochemical Society. Professor George Truscott D.Sc., F.R.S.E. Following a BSc and PhD at the University of Wales, George Truscott was awarded a DSc by the University of Wales in 1966 and elected a Fellow of the Royal Society of Edinburgh in 1988. 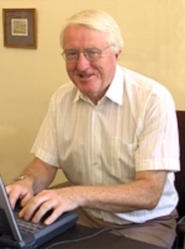 He was appointed Professor of Chemistry and Head of Department at Paisley College (University) in 1976 and Professor of Physical Chemistry at Keele in 1990. He was Head of Chemistry at Keele from 1994. 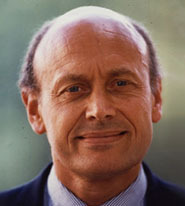 In 1993 he was elected the (first) Dr Lee visiting Fellow at Christ Church College, Oxford University. He has held many national and international posts including that of Founding President of the European Society of Photobiology and the Senior Editor of the Journal of Photochemistry and Photobiology (B). 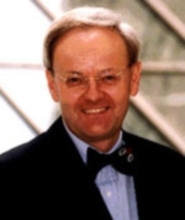 Fritz Boehm was educated at the Charité Hospital, Berlin and subsequently became a Consultant at that hospital. He is now a Senior Consultant and a Professor of Medicine (Dermatology) at The Humboldt University in Berlin and also holds honourary professorships at universities in the UK and South America.